Lycanthropes are the original species of shapeshifter. No one knows how they came to be, as there are so many different types of Lycan, but each species tends to have their own origin story. The one thing they all seem to have in common, however, is that they are all considered predatory species. A particularly inquisitive Red Fox once attempted to compile all of the legends, but that was two centuries ago and no one has seen hide nor hair of him since. The Lycans are naturally born with the “Mother’s Gift” and while their bite is just as vicious as the Werewolves most of the world has come to know and fear, theirs does not have any long-lasting side effects. In other words, a bite from a Lycan will not turn a victim into one at the next full moon. While they are often considered “children of the moon” due to their connection to the lunar cycle, they are not confined to the same 3 nights of shifting per month that Werewolves are. They are, in fact, not forced to shift on the night of the full moon at all. Most willingly choose to do so, however, as that is the night they can see the Great Mother at her brightest and give themselves over to her Gift in thanks. All female Lycanthropes give birth in human form, and give birth to human babies. 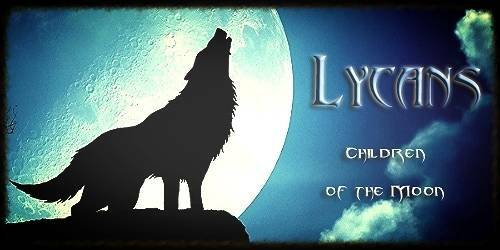 Whether a child is blessed with the Lycan gene, is based on the mother. As technology has advanced, the reasoning behind this oddity has become obvious: the “Gift” comes from the X chromosome. A Lycan’s first shift does not occur until the first full moon after reaching the onset of puberty (age 10-11 for girls; age 11-12 for boys). It can be a very traumatic and painful experience for the new Lycan, but those who grow up with one or more Lycan parents are usually well-informed and prepared for the changes about to occur. Over time and with practice, the pain of the transformation lessens and the shift becomes much more fluid. And as Lycanthropes can grow to be around 300 years old, they’ve got nothing but time on their side. In addition to the physical change that happens to their body, the young Lycan’s senses also shift at this point in their life. Colors become more vivid, smells become more crisp, sounds more clear. It is an intoxicating feeling, especially when coupled with the new power of their animal form’s muscles, teeth, and claws. But, as with any drug, there is always a downside to giving in to the desire of staying in such a strong form. If a Lycan stays in their animal form for too long, the beast begins to slowly gain control over the mind. Unless they shift back to their human form, they could risk remaining as an animal for the rest of their lives. The same thing happens if a Lycan refuses to shift from human to animal form on occasion. Once per month is optimal, as that seems to be a good balance between man and beast. If a Lycan neglects the shift for too long, however, they slowly lose the potential of doing so ever again. The pain endured during their first shift returns ten fold when they attempt a shift after so long. It has been rumored that a Lycan can die from the pain alone during such an experience. Along with the enhanced speed, strength, and senses given to the Lycans by their Great Mother, they have a higher rate of regeneration. This is not to say that they can grow new limbs, but rather that the wounds themselves heal faster. There are few ways to truly kill a Lycan, but the most well-known is by removing the head from the body. (Note: Breaking the neck is effectively knocking them out for a few minutes while the body fixes the spine.) Another route is to remove the heart from the body. Despite common belief, silver is not a viable threat to Lycans and has in fact been talked up more as a means to hide their true weakness: Mercury - or commonly known to ancient alchemists as “quicksilver”. Ingesting mercury is akin to taking cyanide, but with their regenerative abilities, they are able to bounce back after a few days/weeks (depending on the amount ingested). Wounds dealt with mercurial weapons do not heal as quickly and leave scars on the Lycan’s body, where otherwise no mark would remain. Note: The only way for a Lycan to have a scar is either from a mercurial weapon or from their youth (i.e. before their first shift). One in every twenty Lycans has the potential to become an Alpha. In family groups, there will always only be one Alpha in charge, but there can be multiple members with the potential within. On the surface, there are no notable differences between Alphas and normal Lycans. Alphas have a bit more control over their beast, however, and it shows in the way they can let it out. All Lycans can flash the eyes of their beast or emanate a growl in human form at will, but only Alphas can lengthen their claws and teeth while human. Most Lycans have two forms: their human form (which comes in a variety of shapes and sizes, much like actual humans), and their beast form. The beast form looks identical to that of a normal member of that species, except for the fact that it is half again as large. Alphas are the only Lycans with a third form: the hybrid. This form is bipedal and usually stands near 7” in height. In this form, an Alpha Lycan is at its peak of power - both human and animal come together in a vicious harmony that sends a ripple of fear through the hearts of any who sees it. Admin Note: We will only be allowing three Alphas per species. One in charge of the family, and two with potential. Please check the Who’s Who section or contact an Admin/Mod if you wish to play one. These creatures were forced into creation long ago. A powerful blood mage by the name of Einar, with a pack of Wolf Lycans in his service, sought to take advantage of their loyalty and use them to create a new species - one that would harness the power and ferocity of the Alpha Wolf in a form only he could control. Something went wrong, and the ritual went awry. Einar died horribly, along with all of the Lycans. Only the Alpha, Ulf - the one being sacrificed - survived, though not unscathed. He was the first of a new breed. The magic from the ritual remained strong in his blood, thus creating the Werewolf “curse”. Without Einar to keep him under control, Ulf’s rage swept across the surrounding countryside. Those who suffered from his bite found themselves wracked with the pain of their first shift at the turn of the next full moon. Unlike true Lycans, they have only one form to shift into: the hybrid form. When shifted, the human part of their mind disappears, leaving only the instincts of the beast - hunt, kill, defend their territory.  It is rare, but it has been rumored that the human mind can halt an attack that would otherwise harm someone they have a strong emotional bond to. It’s not much, but if their loved one is smart and fast, it could mean the difference between life, death, or suffering from the same cursed fate. Important Note: Werewolves only come in one variety - wolf. The curse passed on from a Werewolf bite does not work the same on all creatures. Lycan -- The bite of a Werewolf has no effect on Lycans. Vampire -- Their bite is a kind of poison to vampires, causing sickness to the immortal blood-suckers for a few days. Nobody knows why this is, but most speculate it has to do with the blood magic used to create the Werewolves. Anointed/Afflicted -- Whether the bite of a Werewolf has any effect on a chosen vessel ultimately comes down to the power of the spirit in control. Some Anointed/Afflicted are strong enough to stop a curse of the blood, thus saving their vessels from the agony of shifting each month. If they are not strong enough to do so, the spirit must make a decision: stay or go. Most Afflicted, who take their hosts by force, don’t seem to mind the extra strength and the keen senses provided by the curse and will happily deal with the three days of power-hungry animal each month. Anointed, on the other hand, who ask permission from the host vary from one being to the next. Some hosts request they stay, seeking the safety and comfort the presence of the spirit provides. Others give in to the slight peak in their emotions and send the Anointed away in a fit of rage.